As the days get shorter and the nights get cooler, rodents of all shapes and sizes will be looking for a warm place to settle down for the winter—unfortunately, few places are as appealing as your home. Rodents are also incredibly sneaky and cunning, which means they can find their way into your home despite even your best efforts to keep them out. The good news is that rodents don’t stay hidden for long. If you notice any of the following signs in your home, contact a rodent control provider in Pleasanton to remove your unwelcomed guests for good. Rodents can wedge through openings as small as a quarter of an inch in size. As they do, they often leave greasy smears behind due to oil and dirt in their coats. Mice and rats will also leave greasy smears along tile floors and wood baseboards as they retrace the same route over and over again. Call your pest control company to get rid of mice and rats and their disgusting, unsightly grease marks. Rodents produce a ton of droppings, so it’s pretty easy to spot if you have a rat or mice infestation in your home. Look for rodent droppings in kitchen cabinets, pantries, cupboards, drawers, and anywhere else mice and rats might look for food or scurry to avoid predators. 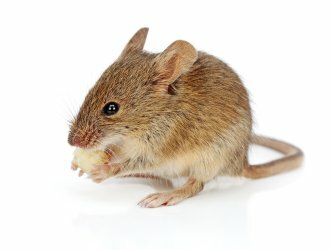 If you find small, dark pellets anywhere in your home, contact a rodent exterminator to look for mice and rats before they reproduce out of control. Despite being incredibly sneaky and cunning, rodents aren’t the quietest pests in the world. If you have mice or rats in your home , you’ll often hear squeaks, rustling, and scampering sounds as they move about and nest inside your walls. Rodents are most active at night, so listen for unusual sounds as you’re drifting off to sleep at night.